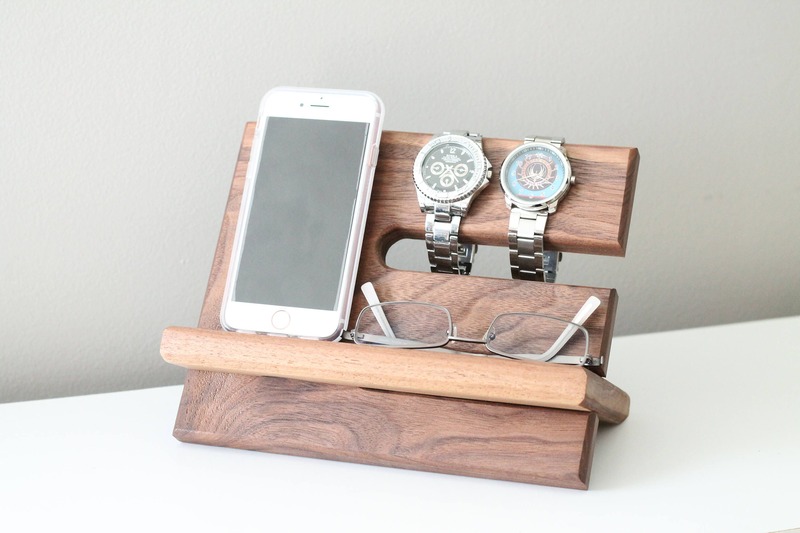 We are proud to offer a premium version of a desktop or nightstand valet to hold your valuables by your side. Our valets are sourced, assembled, stained, and finished by our two hands- NOT by a machine. 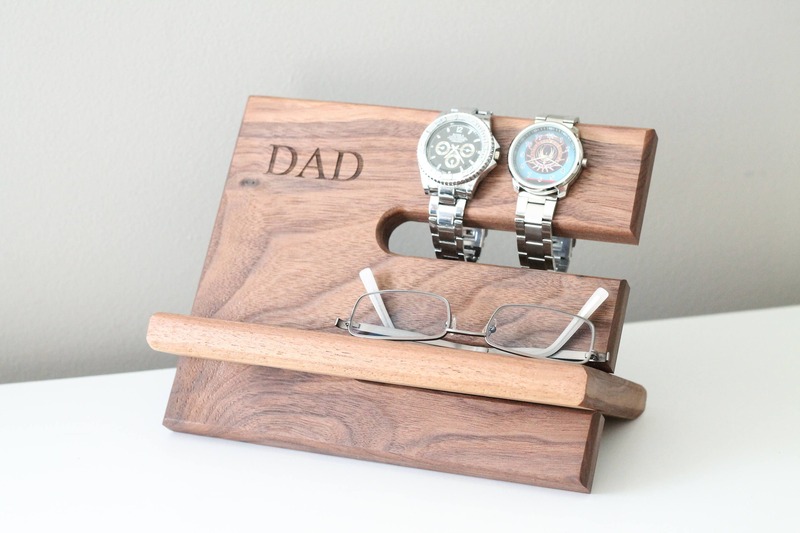 Our Valets are made from premium solid oak, walnut, zebra wood, cherry, or purple heart, and can provide locally reclaimed wood for special requests. These are NOT made by machine and cheap plywood, they are made by 100% natural wood by our two hands. 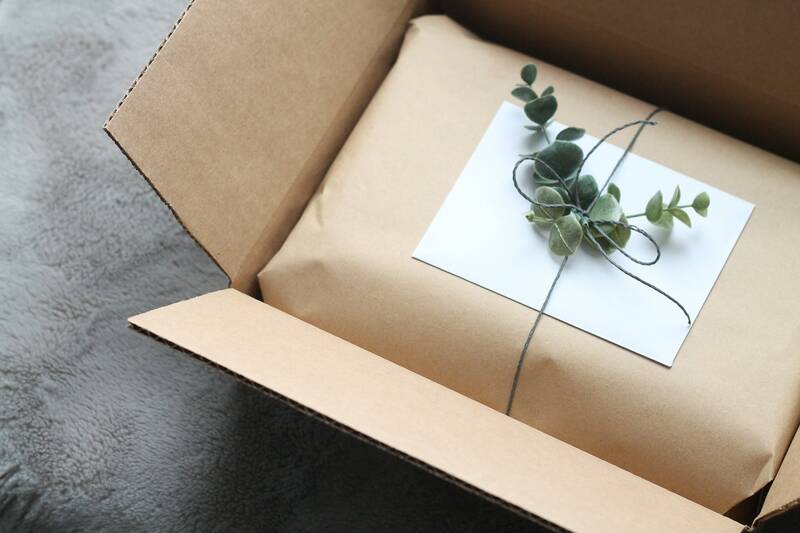 For more on our process and materials, see the About Us page. This dock will hold your phones- (pictured iPhone 7) the bottom piece is built to allow a charging cable to come up underneath to be plugged into the bottom of your phone. 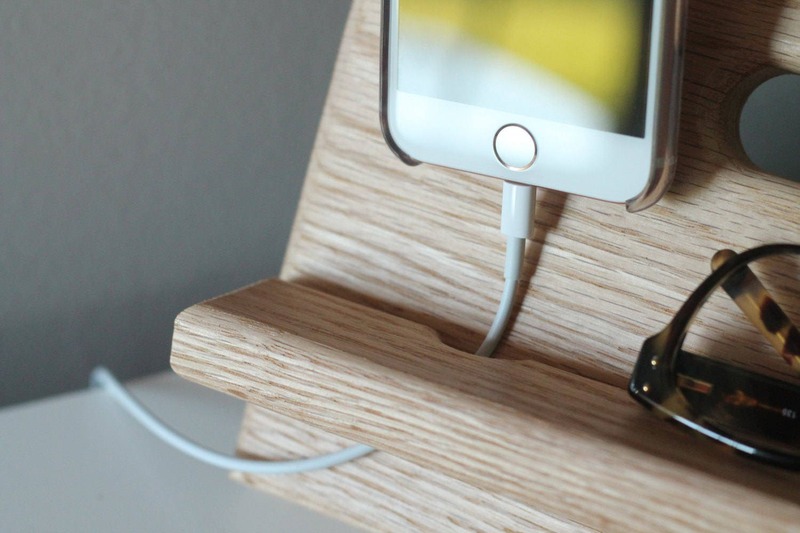 (See Pictures) This will accommodate any phone that charges from the bottom, but this valet is designed to accommodate all phones- if your phone doesn’t charge from the bottom, you can still charge it from the side, or from the bottom and lay your phone on its side. An iPhone 6+ and the Droid equivalent will fit on here, but will stick up above the wood. 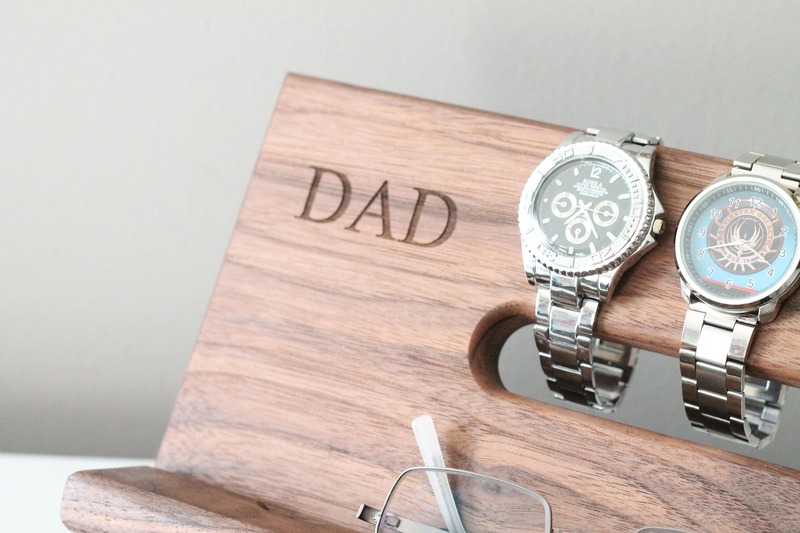 This is a Father's Day listing with Dad engraved- see our other listings to customize initials or monogram or picture. 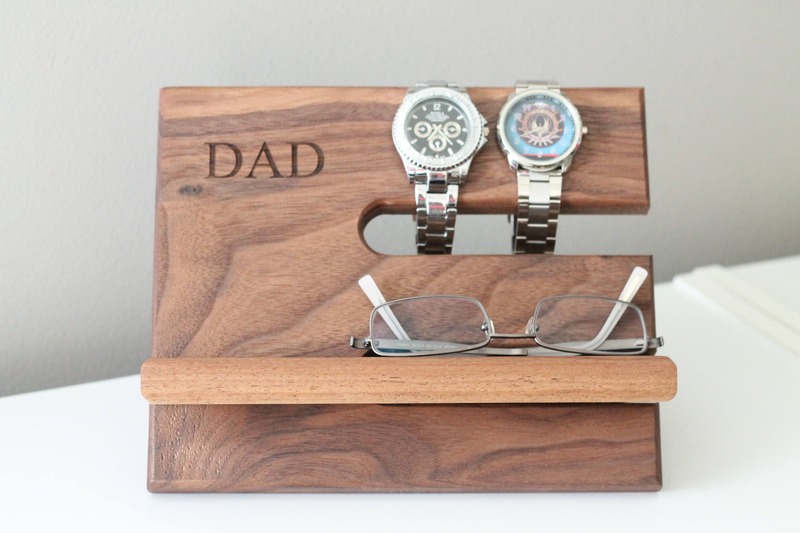 This listing is as pictured- walnut wood, "Dad" engraved, and polyurethane only.